Back in 1993 I was working for the St. Petersburg TIMES, and I recall spending one October day looking around for a Halloween story. 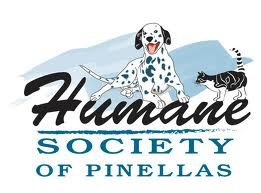 I finally called Rick Chaboudy, who was the director of the Humane Society of North Pinellas. Rick was a very media-savvy guy who could usually be counted on to come up with a good story. 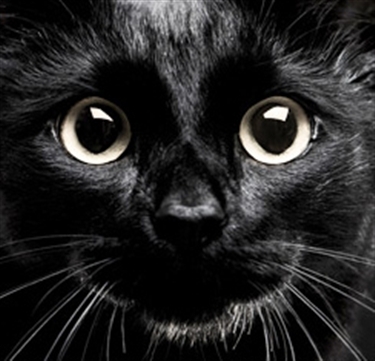 I was thinking about whether black cats were more in demand for adoption around Halloween, but he had a much better idea — a story about people who wanted to rent black cats for Halloween parties. So that’s how this story came to be. Pet adoptions have been a little slow at the Humane Society of North Pinellas, but the phone has been ringing off the hook with calls from people who want to rent cats for Halloween parties. But even though the Humane Society has about 50 cats, none of them are for rent, not now and not ever, according to Rick Chaboudy, the Humane Society’s director. “I think people are getting into more elaborate Halloween parties and they try to think of everything,” Chaboudy said. “We try to explain we don’t do things like that – it would be a tremendous amount of stress on the cat, plus we don’t want to give the impression we approve of activities like that. The Society for the Prevention of Cruelty to Animals of St. Petersburg in Largo has not received any requests for renting cats. The interest in using the Humane Society of North Pinellas in Clearwater as a sort of Rent-A-Cat agency is a fairly new twist, Chaboudy said. But calls inquiring about renting cats have been steadily increasing during the past few Octobers. About a half-dozen such calls have come into the Humane Society during the past week, he said. Even if the Humane Society did rent cats, Halloween party-givers probably would be a little disappointed at the present selection. Chaboudy said of the 50 or so cats, none are completely black. Actually, there is a single black cat at the Humane Society, 3040 State Road 590, but she isn’t available for adoption.